Include UGA in your career planning. The University of Georgia Center for Continuing Education provides superior continuing education programs that enrich lives, advance careers and boost businesses. These certificate programs and professional development courses are perfect for those interested in entering a profession, improving professionally, making a career change, or adding a new credential that businesses value. Learn to coach executives and develop leaders. As an executive coach, you will help others achieve professional success. In this program, you will gain the skills and credentials needed to become a top-level executive coach. Advance yourself professionally with the techniques of writing clear, concise documents for any business need. Excel in communicating with customers and co-workers by mastering memos, business letters, emails, policy statements, reports and instructions. 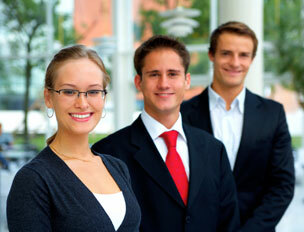 The program equips you to successfully manage all types of events. From top-notch, energetic instructors, you'll gain dozens of tips on selecting appropriate sites, negotiating contracts, navigating obstacles, and managing events from start to finish. Master the basics of this long-established methodology for business process improvement, or build advanced skills for leading critical project teams. Healthcare professionals have the option of a course focusing on the direct application of Lean Six Sigma techniques to healthcare organizations. This 3-day in-person course addresses these challenges and requires no prior coding experience to succeed. Taught by an expert in the field with over 30 years of practical experience, it provides you with the conceptual, theoretical, and industrial knowledge you need to lead AI, ML, and data science projects with confidence. In this day of networking and learning practical tips, you'll enhance your skills and put your professional development on a faster track. Learn the skills required to delegate responsibility and motivate your employees. This course will help you understand how to resolve conflicts. Turn your business ideas into a solid plan for financing and long-term success. Your instructor will help you work through all of the major components of writing a convincing business plan. Teach people how to treat you through your behaviors as well as your words. This course will help you understand which behaviors to use with others so they perceive you as being assertive. Gain an employment advantage by developing powerful analytical skills needed to make better, more informed, and more effective business decisions. This course equips you to coordinate an enterprise's sustainability strategy. You'll gain the professional credentials and skills needed to lead sustainable business practices. This course covers the intricacies of organizational communication; office and records management; human resources fundamentals; and how to effectively write for business, produce documents and utilize informational technology, among other topics. Become an indispensable member of the office team by identifying opportunities and implementing solutions to turn your office into a high productivity machine. Gain all the skills and information you need to get started in this fun and in-demand profession. You'll learn to create event concepts, plan ceremony details, and handle vendor contracts. Upon completion of this program, you will be certified as a professional wedding planner, with access to an online resource library with customizable documents you can use for your business. Bring out the best in your team! Learn how to measure customer service, how to anticipate the needs of your reps and your customers, and how to unlock the power of leading by example. This course includes all elements of distribution and logistics management, including physical distribution, warehouse selection, material handling, packaging, order fulfillment, customer service, inventory management, receiving, production stores, returned goods, and technology. In this course, you will learn how to design, plan, implement, and evaluate special events, including corporate meetings, weddings, parades, and festivals. You'll also gain insights into event management technology, career development, and venue selection. This course reviews key aspects of supply chain management, including customer demand forecasting, master production scheduling, material requirements planning, capacity planning, and production activity control.